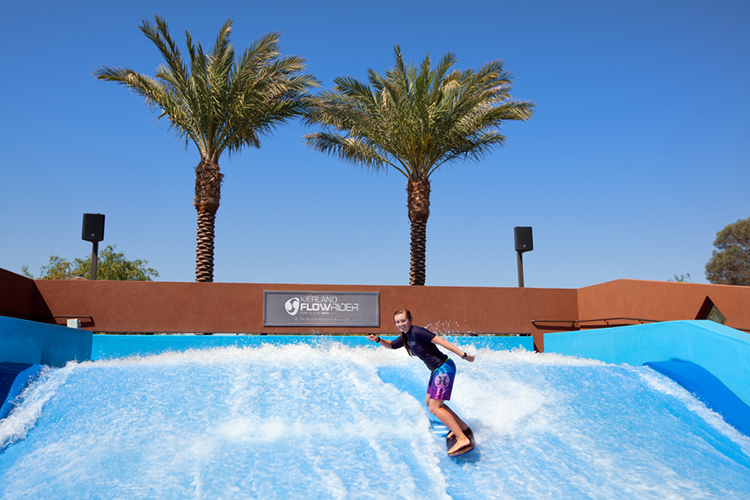 Bring your family out for surf, sun and fun this summer with Kierland FlowRider wave simulator and all the excitement that Kierland Resort has to offer. With rates from $169 per night you can enjoy a stay that includes a daily $50 dining credit, per room OR enjoy two free sessions on the KierlandFlowRider board sport simulator. The island-themed activities continue with the Resort’s award-winning family FUN Program. In addition to its year-round activities including Kids in the Kitchen, Digital Kids’ Club, and s’mores roasting at the Kierland Kampfires, the whole family will enjoy daily poolside activities such as Pass the Coconut (the Hawaiian version of Hot Potato), Island Limbo, Hula Skirt Relay Racing and Grass Skirt Hula Hoops. Adults can get into the games, too with the Mai Tai Putting Challenge in which they putt a clementine orange and those who make a hole-in-one win a Mai Tai.